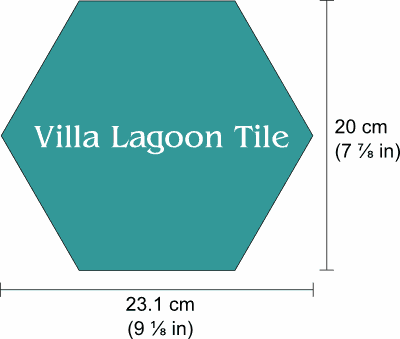 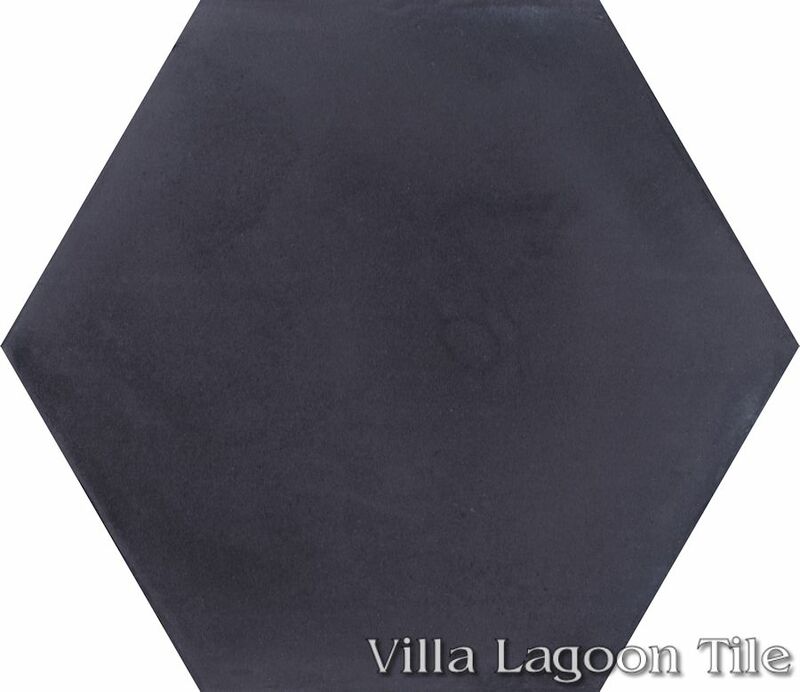 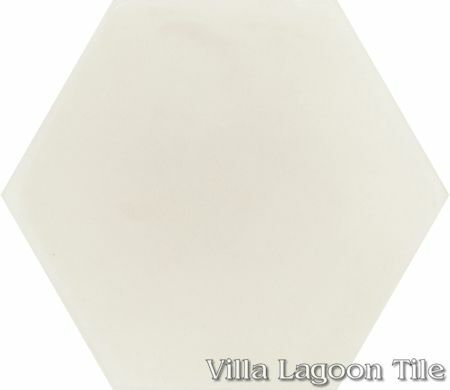 This is a blend of single-color 8" hexagonal cement tile, using Alabaster, Black, and White from the South Beach Palette. 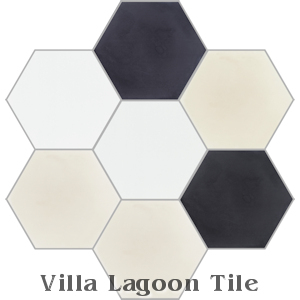 Following the great success of our Mixed Gray Hex, we have been asked about mixes in all kinds of colorgroups. 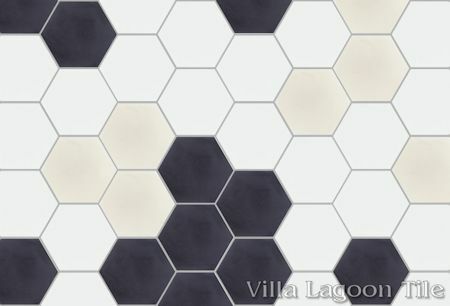 We found three of our in-stock hex tiles that harmonize in this great color scheme we call "Mixed Calico Hex". Note: Sale price requires even purchase of all three items. "Black" SB-2000: Click for larger image. "White" SB-1000: Click for larger image.